We have a football side which often plays in charity tournaments and matches against Macmillan Cancer Care. The matches we play always raise money and awareness for a good cause including Macmillan Cancer Care and the Scoreboard Appeal. We always feature a couple of sides in the annual 5 a side tournament at Nethermoor. This year we played in our brand new Adidas kit as featured below. 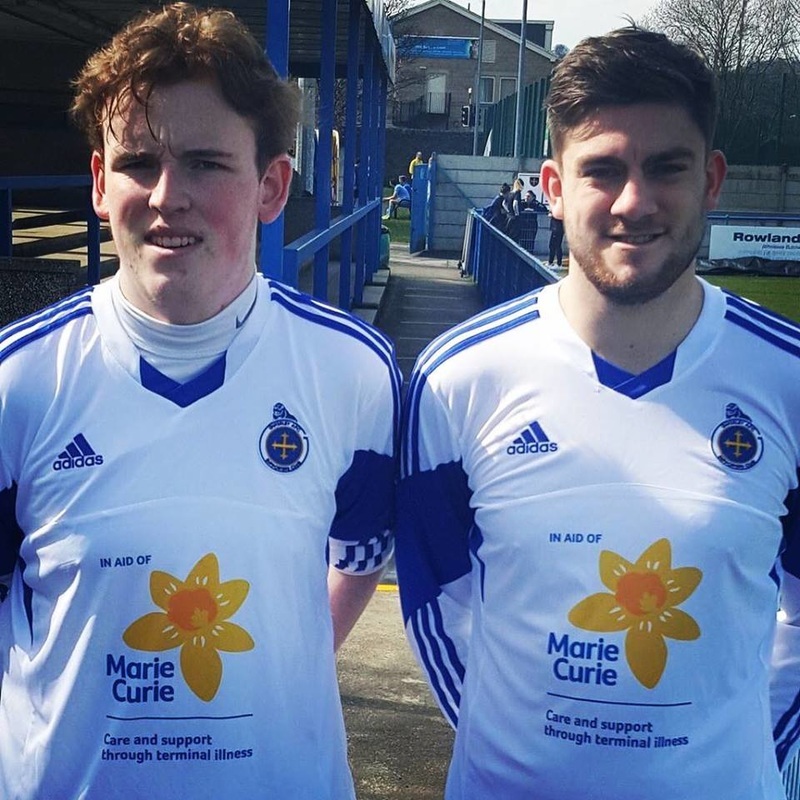 ​The kit will display the Marie Curie logo on the front which was kindly paid for by two of our regular supporters. We are currently looking for a sponsor for the back of the shirt, if you wish to do so please contact us. Or if you fancy a game against us just let us know by heading to the contact page.